It’s the Haunted Pumpkin, Charlie Brown! It’s like “Stand By Me” but with ghosts and sexual abuse. 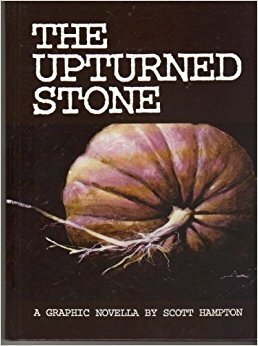 I first discovered this tale a few years back when Comic Book Resources did a countdown of “Scariest Comics of All Time,” and being the sucker that I am for Halloween and pumpkin related horror tales, I immediately sought to hunt this book down and acquired one of the original print copies. This story isn’t all plot, and while Halloween is what sets off the chain of events, the entire book doesn’t take place solely on the holiday itself. What starts off with a pumpkin growing on top of the grave of an unnamed child becomes a journey into adulthood and a quest for revenge. Posted in Other Recaps | Tagged adults are useless, author: scott hampton, awesome lead characters, comics, cool location, recaps by jude, supernatural oooooh!